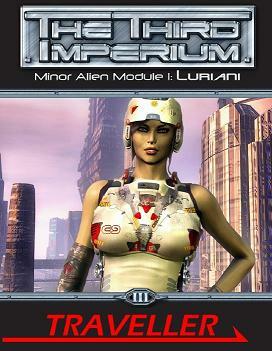 Luriani is Mongoose’s first Minor Alien Module for Traveller’s Third Imperium setting. The book describes a race of Humaniti transported and adapted by the Ancients to an aquatic planet. 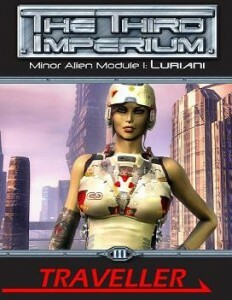 Luriani history, technology, ship designs, and character-creation options are included, but quality cover art apparently not. I see they were adapted to an aquatic planet by having built-in floatation devices.